— In what countries is the electric vehicles market most developed as of today? — As a leading manufacturer of cars, German Automotive OEMs have invested significantly in the development of the electric cars. One of the best examples is the launch of the BMWi3. AUDI also working towards electric cars development and is ready to launch its versions of VW e-up or e-golf models. As a main supplier of vehicles, Germany wants to retain its leading position, but it does not mean that it is a leading adopter of EV’s within Europe. In 2013 Norway and The Netherlands became 2 leading markets for the adoption of EV’s. France was 3rd but significantly behind the others in terms of volume. The pressure on the automotive industry to introduce electric vehicles as part of their fleets is driven by the reductions in CO2 emissions that the EU has signed up to. Hence the investment in developing electric vehicle and hydrogen power technologies by the major automotive OEM's. In terms of the infrastructure, today in Europe there are a lot of investments in this sphere, ranging from pilot projects to mass deployment of charging infrastructure. We can divide these projects into two categories. The first category is low power AC chargers. It is a “socket at home” so to speak. These charging stations are implemented in personal garages, office parking lots, public places. Electric vehicle charging takes a long time here (6-8 hours) but would typically be done either at night or during the working day when the vehicle is not in use. The charging stations of the second category (DC – Direct current) works with higher power. They are more similar to existing station in terms of size and feel. Here you can get a significant charge within 10-15 minutes or around 30 minutes for a full charge. — Do you mean the fast charging standard CHAdeMO? — In fact, CHAdeMO is just one of the standards made available by the Japanese companies. However EU member states are currently preparing a draft directive “Alternative fuel technologies infrastructure” in which the use of CHAdeMO will be phased out over a two-year period in favour of the CCS (Combined Charging System) This is based on a systems developed by Menekess in Germany and its use could be considered a trend not only in Europe but also in the United States. I think that CHAdeMO will ultimately be in isolation and will be used in Japan only. — What can you say about the concept ‘Vehicle-to-Grid’? Is it implemented elsewhere? — It is a good idea from the technical point of view to connect an electric vehicle with an electrical grid to transfer excess energy to the grid. This idea is interesting in the context of energy accumulation by analogy with the surplus of renewable energy that can be transmitted to an accumulator or a circuit. However, as long as the number of electric cars that are used is too low, there are not so many possibilities for accumulation either. A significant level of energy can supply only a large quantity of electric vehicles. So for now the concept is not implemented in practice. It is too early. 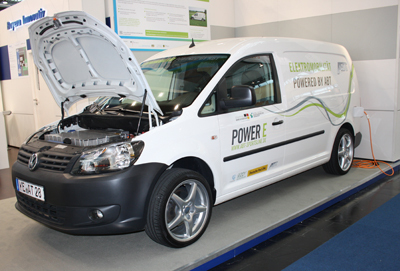 There are many companies at present investing in the development of battery technology, both for Grid scale connection or for use within vehicles. 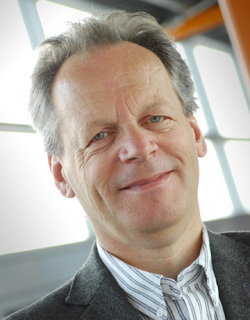 This combined with a number of pilot projects in the UK and in the Netherlands aimed at the problem of how to connect the drives energy and renewables will provide industry with lots of valuable data This will help to improve the battery technology it is necessary to reduce the charge/discharge cycle time as well as to achieve a greater battery life. In this case people would be glad to use it for energy conservation. — Can we make an assumption that charging infrastructure for electric vehicles will become wireless? — Potentially, yes. Such systems are being tested already. There is a standard IEC61980-1 Electric vehicle wireless power transfer systems, for the equipment to be used. Whilst the idea is promising it is very early days in terms of mass deployment, technical and commercial viability, so it is early to draw conclusions. For example, today in Turin (Italy) this system is used for charging public transport vehicles. These are small-sized buses with 26 seats. They follow the route that has wireless charging stations. So the technology works. But its economy and the technical side are still questionable. 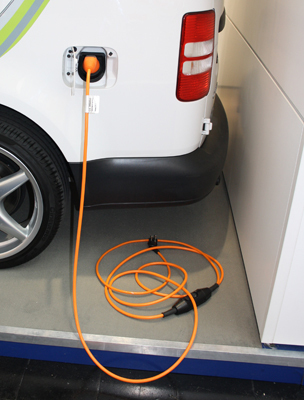 — How does the Eaton company develop the field of charging infrastructure for electric vehicles? — In North America we have invested significantly in developing an understanding AC and DC charging systems and most importantly how these communicate with the electric vehicles. However in Europe with only limited sales for electric vehicles and infrastructure projects that are linked to governmental subsidies we are maintaining a watching brief before making further investment.